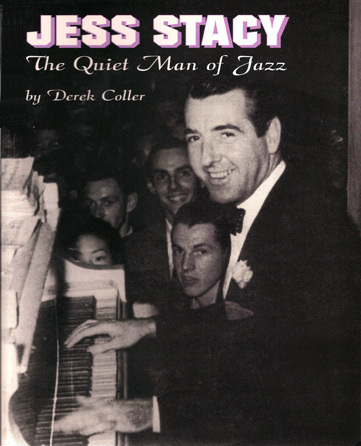 Derek Coller's Interest In Jazz Was First Sparked By Seeing The Glenn Miller Orchestra In The Film "sun Valley Serenade". This Was 1942, When He Was A 15-year-old Schoolboy. While Serving In The Royal Signals Corps. In Ceylon In 1947 He Published The S.e.a.c. Jazz News. After Army Service He Became Editor/ Publisher Of The Discophile, From 1948 To 1958. Thereafter He Contributed Discographical Columns To Jazz Music, Vintage Jazz Mart, And R&b Panorama, And Compiled Discographies For Matrix And Blues Unlimited. More Recently He Has Written Articles About Individual Musicians For Storyville. The Mississippi Rag. And The International Association Of Jazz Record Collectors Journal, Twice Winning That Journal's Annual Award For Best Article. His Record Reviews Have Appeared In Storyville. Footnote And New Orleans Music.